At Shell Lubricants, we’re big believers in the power of partnerships. After all, working together helps us achieve far more. Shell Lubricants presents Brandon Payne, the Brain Trainer. 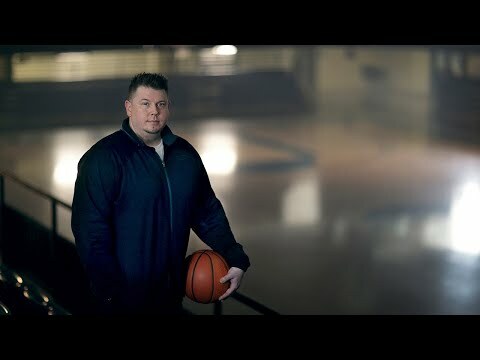 In the film he talks about how he has combined his knowledge of basketball along with developing sports science techniques in partnership with professional player Stephen Curry. Shot of basketball player bouncing a ball in an outdoor basketball court at night, with Charlotte city scape in the background. Close up shot of basketball player passing a ball to another player and then onto a close up shot of various players. Cut to a close up shot of Brandon Payne driving around in his car. Cut to close up shots of basketball players playing a game and shooting a basket which then cuts to a broader shot showing six players on the outdoor court with the city scape behind them. Cut to shot of ball bouncing in an indoor basketball court. Cut to shot of the back of Brandon Payne seated above, in an indoor basketball court, watching six players during their training session. Cut to close up shot of ball being shot into a basket. Cut to a close up shot of Brandon driving past a Shell petrol station. Cut to a close up shot of Shell Pecten keyring in car ignition. Cut to a photo of Brandon seated in a gym talking to Stephen Curry during a training session. Cut to shot of Brandon seated in a Diner talking to camera. Cut to a close up shot of a young boy in a training gym which then cuts to him throwing a ball to another young boy who then bounces the ball. Cut to this young boy scoring a basket and back to his reaction. Cut to close up of two players holding a couple of balls each under arm. “Power in is power out…” heard in the background. Cut to close up of a tablet displaying basketball game analytics on the screen. Cut to close up of Brandon talking to his players. Cut to close ups of two players listening to Brandon’s advice. Cut to several shots of both players bouncing two balls either side whilst practicing and developing their footwork. Cut to several shots of a player developing his timing skills by bouncing a ball and touching colour lights when they flash up on the wall ‘Fitlight’ training machine – showing reflections of colour lights on his face when they change. Cut to several shots of six players practicing their skills in a dimly lit indoor basketball court which moves into slow and fast motion close ups with one player scoring a basket. Cut to close up of Brandon training his players. Cut to two players training with two tennis balls and two basketballs. “That’s the sound of getting better, can I shoot, am I breathing.” Heard in the background. Again, cut to several shots of six players practicing their skills in a dimly lit indoor basketball court which moves into slow and fast motion close ups with one player scoring a basket. Cut to close up of Brandon smiling. Cut to Brandon driving around in his car again. Cut to a basketball player scoring a slam dunk. “Keep breathing, breathe..” Heard in the background. Cut to player training with stretch ropes and bouncing a ball. “What makes a partnership really great is…”. Cut to two players training with stretch ropes in training gym with Brandon watching. Cut to player jumping up and down with stretch ropes. Shot of Brandon in the Diner again talking to camera. Cut to Brandon holding a tablet in the training gym, whilst a player practices his speed skills touching the screen when a light appears and bouncing a ball at the same time. Cut to Brandon in the Diner again writing notes with his laptop in front of him. Close up shot of his note pad. Cut to a close up of the laptop screen displaying basketball court analytics. Cut to players bouncing balls down a dimly lit corridor. Cut to Brandon in the indoor basketball court, scoring a basket from the half court. The Shell Lubricants logo appears over the top of the sky shot. When it comes to brain and body connectivity, Brandon is basketball’s go-to guy. He goes beyond skill and fitness drills - instead he creates expert individualized training programs, which are designed to overload the brain. His training methods focus on working the brain to process information quickly. His theory being that the quicker you can process what you see, the more time you’ll have to make a decision. Research suggests that the best athletes can make decisions 12 times faster than the average person. Just like Ram’s & Brandon’s story’s, Shell Lubricants believe that working together with our customers is the key to unlocking their success. It’s why our business is built on the technical expertise of our people, deep industry knowledge and our understanding of building long-term relationships that deliver value to our customers. Click here to contact us in your country and find out more.